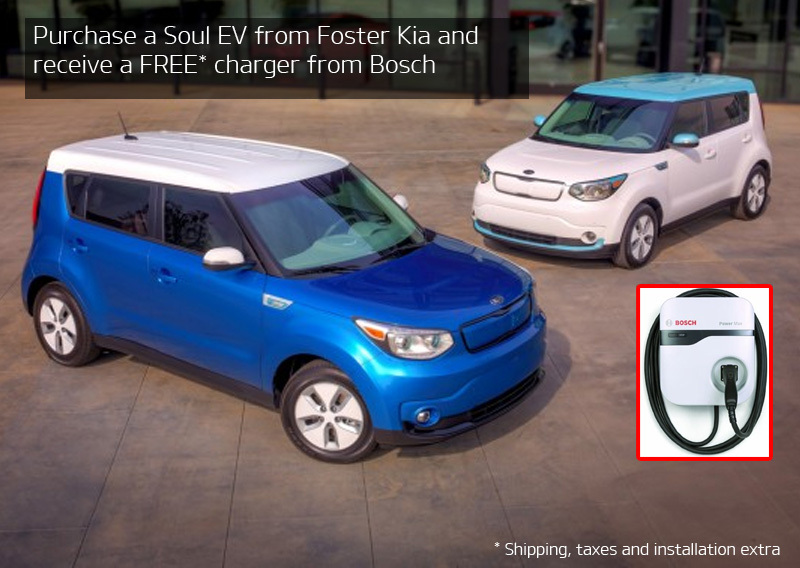 PURCHASE or LEASE a NEW IN-STOCK KIA SOUL EV, and Foster Kia will provide a coupon for a FREE Bosch Power Max Charger (30 ampere, 240V and has an 12 foot cord). $595 VALUE. Shipping, taxes and installation are not included. Upgrade options are also available from Bosch. 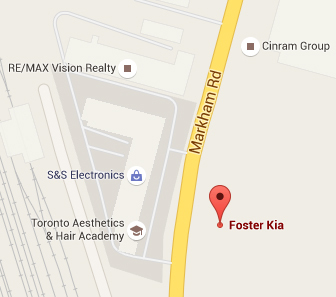 See Foster Kia for details.